Finitzo highlights this tension between illusory hope and stern reality through the parallel storytelling of different characters. Maria, the captain, wins her first architecture design competition and decides to pursue architecture in college, but former captain Elizabeth has already compromised to reality, dropping out of college after a sudden fire destroys her family’s house. Elizabeth’s circumstances foretell those of Maria, who is eventually forced to suspend her studies and get married. “There are so many walls in between. I feel like I have no way to climb that wall,” Maria says, after a lawyer tells her that it is almost impossible for her to rise above her financial difficulties. Even if the possibility exists, its fulfillment demands total devotion and immeasurable sacrifice. The girls, like many other children from immigrant families, bear a family obligation to help out the household in a variety of ways, but achieving their college dream might entail severing family ties, as In the Game suggests with Alicia’s story. While Elizabeth has her parents’ steady support, and Maria settles down with a new family of her own, Alicia is left alone, paying for her tuition on her own. Alejandro Espinoza, who attended a public screening of In the Game a couple weeks ago at Archer Heights Library, teaches at Curie Metropolitan High School in Archer Heights, right next to Brighton Park. He finds it disturbing that high school often gives these underprivileged students false hope. As the audience, we see the young players grow on the soccer field and in the classroom. And initially, the film caters to our assumption that the girls will be given the opportunities they deserve; against our expectations, though, it turns out to be a story of those beaten by the system. In doing so, the documentary candidly shatters the popular notion of the American Dream and offers a trenchant criticism of the inequality deeply rooted in our social system. Effort does not determine your outcome in the game of life—race, gender, and socioeconomic background do. This truth is not unfamiliar to the girls. 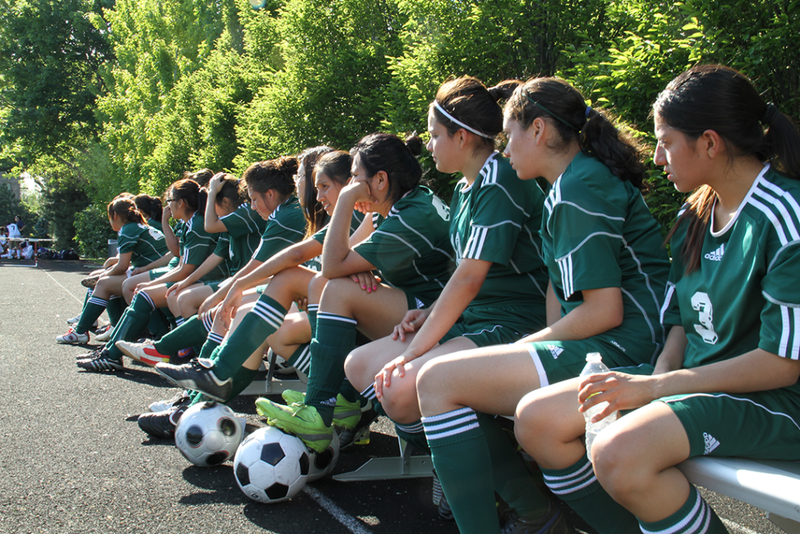 “Sometimes in life, you are still going to fail even when you make the effort,” says Stan, their soccer coach, after the girls are defeated by Whitney Young Magnet High School, a well-funded school renowned for its soccer program. Nevertheless, what lies at the heart of the film is an earnest celebration of the resilience of three girls in the face of adversity, and the value of being part of a team. Despite the seeming cliché, the film successfully demonstrates its power through an unsentimental narrative that depicts how in a team, one becomes stronger in overcoming setbacks. Individual effort is necessary, yet attention and support from the community are indispensable. Given the social awareness it creates, In the Game earned its place as a selection this year for One Book, One Chicago, a Chicago Public Library program aiming to foster understanding and engagement in the community. Just like what Stan always told the girls at soccer games, the film brings forth a powerful message: we need a team—the concerted effort of every member of the community to ensure the game is played fairly.